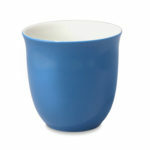 This handsome ceramic mug is heavy and thick walled, so your tea will keep at the correct temperature longer. 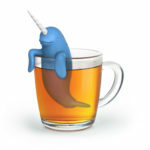 The infuser is easy to load and clean and fits just right in the mug itself. 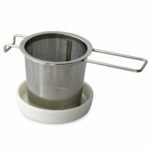 This mug comes with an extra-handy lid to optimize brewing, also doubling as a coaster for your strainer after steeping. 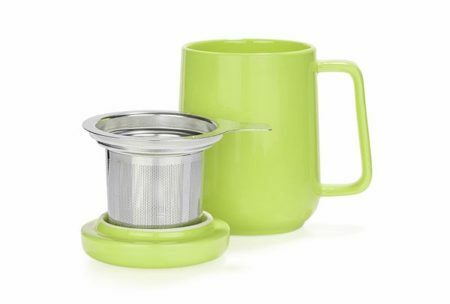 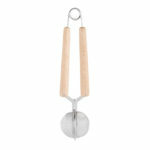 The Peak Tea Mug Infuser is incredibly practical, making each and every cup of tea a breeze to brew and enjoy.